Black horror currently seems to be having a moment which is due primarily to the sterling critical and commercial success of “Get Out” which has opened many doors for black horror filmmakers. 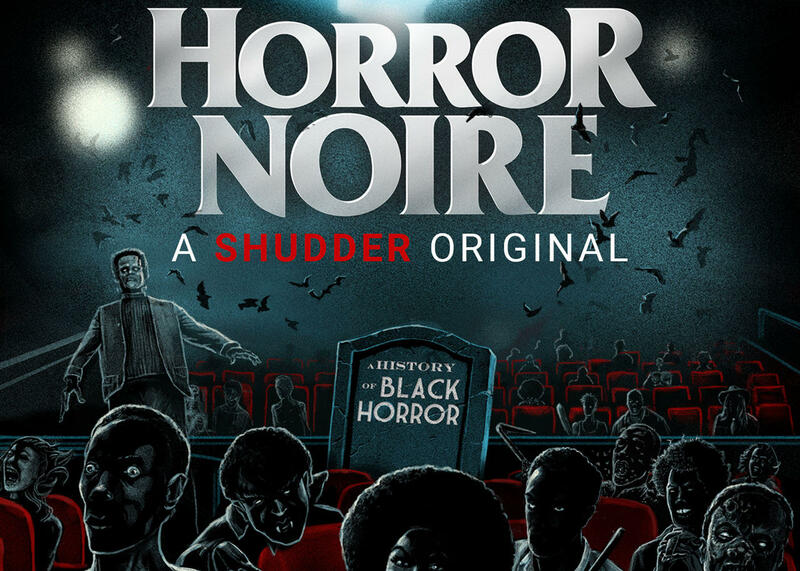 Of course, as any dedicated horror fan would know the story of black horror cinema is much bigger than “Get Out.” The rest of the story is what this excellent documentary sets out to illuminate. Shudder’s first original documentary does, however, start with “Get Out” (whose director Jordan Peele is a contributor on this film) briefly discussing its impact before circling back to the early days of cinema starting with “Birth of a Nation.” That movie may seem like an odd starting point for a horror documentary, but as is succinctly put by the various talking head such as Dr. Robin R Means Coleman, whose book the documentary is based on, it feels like a horror movie to a black audience. Not only that it set a template for years to come in how black characters were portrayed not just in horror but in Hollywood movies generally. Unsurprisingly, the negative stereotypes and clichés around black characters is a large part of the discussion here be it the evil voodoo priestess or the sassy best friend or the sacrificial black person who is only there to sacrifice their lives for the lead white character, etc. All these roles are cleverly picked apart and deconstructed by academics like the aforementioned Dr. Coleman, Tananarive Due, and Ashlee Blackwell. Each of whom also gives great insight into these topics as well as informatively providing the social context that they arose out of it. As is highlighted social context is, of course, critical here. A case in point is “Night of the Living Dead” (1968) as while the fact the film had a black lead was always going to be explosive at the time of release, it was particularly so due to coming out as it did in the same year as the assassination of Martin Luther King. Please do not get the wrong impression though dear reader this documentary is neither heavy nor is it dryly academic; it is instead a celebration of black horror cinema. It is also very entertaining featuring interviews with a variety of filmmakers, writers, and actors. Formally the film is quite simple interspersing as it does talking head interviews with clips from a variety of horror movies. There is quite a fun conceit though as the interviews, for the most part, take place in a cinema with the stars watching some of the movie discussed. Some of the contributors are also paired up lending a natural conversational feel to proceedings. This format also leads to some of the most entertaining and revealing moments such as “Blacula” director William Crain discussing his creative battles on that film with twitchy execs with “Tales from the Hood” actress Paula Jai Parker. Also, the banter between Ken Foree (“Dawn of the Dead”) and Keith David (“The Thing”) is priceless. Whether you are a casual horror fan or a dedicated horror obsessive, you will almost certainly learn something new here as well as pick up some film recommendations. It was indeed good to see underrated classics like “Ganga & Hess” being highlighted. Even if some spotlighted where over-praised, e.g. “Bones” most were given the props they deserve while also being aware of their flaws, e.g. many of the Blaxploitation films. Either way you will want to stick on one of the featured movies after you have watched this. Overall: A highly watchable and informative documentary which is essential viewing for anyone who cares about the history of horror.